Taking Gin & Tonic to the next refreshing level! Cut the top off the lemons and cut the flesh out from the middle of each. Place the removed lemon in a strainer and use a glass to squeeze the juice out. Save the emptied lemons. 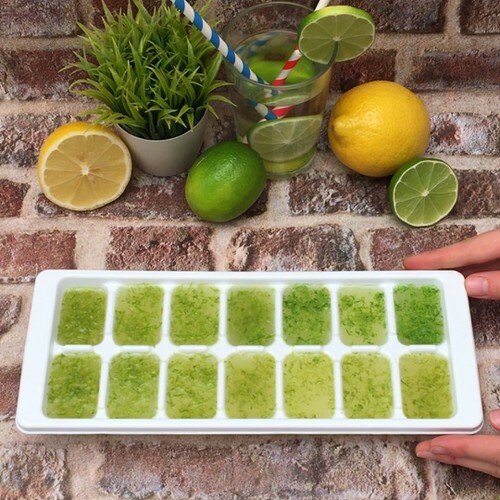 Pour the juice into an ice cube tray, so the compartments are 1/3 full, then fill them up with tonic water. Grate the zest from the lime and add a pinch to each compartment. Place the tray in the freezer for 1 hour. Add the lemon sorbet to a blender, then the tonic ice cubes. Add the gin and blend the mix together until you have a smooth consistency. Pour the mix back into the lemons, then garnish with a sprinkle of lime zest, and add straws and enjoy straight away. Cheers!